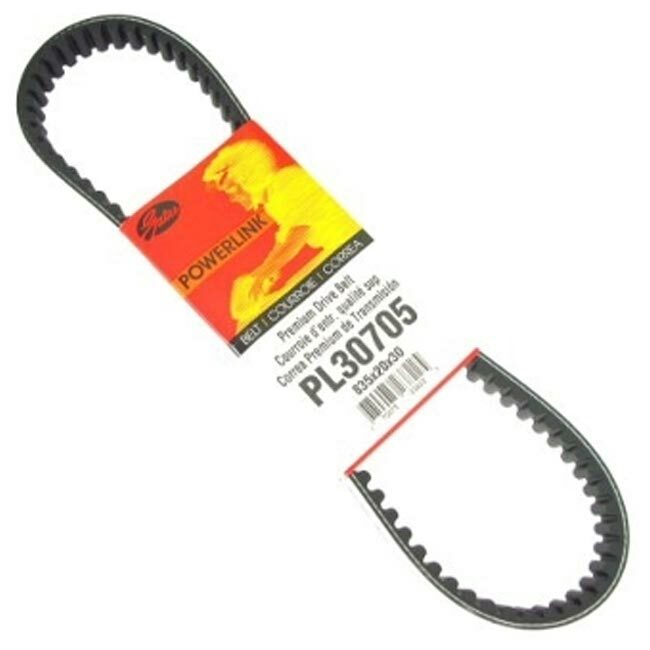 Gates Premium Power Link drive belt size 835-20-30 for 150cc and 125cc GY6 based 4-stroke engines. Specifically designed for a variety of motorized CVT applications including street-legal scooters and go-karts. Premium belt provides longer durability and high-performance. Premium belt has little blue reinforcement.